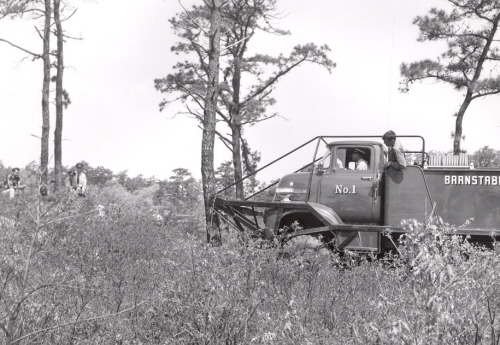 This appears to be the 1957 Ford (C-15) after its retirement in 1971. 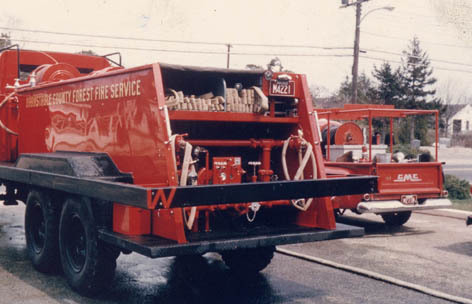 It appears to be at the Eastham Fire Station. 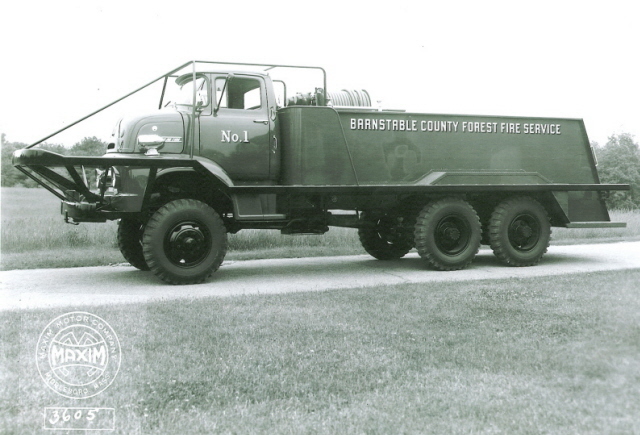 The old county brush breaker C-15 (1957 Ford / Maxim) after retirement. 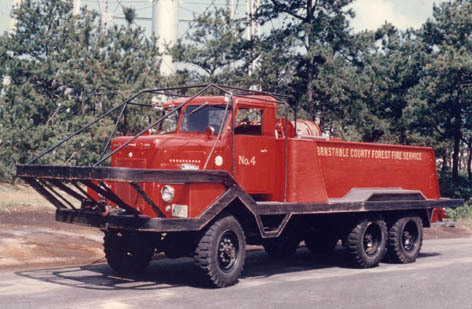 also carried ladders and supported structural firefighting in North Falmouth. 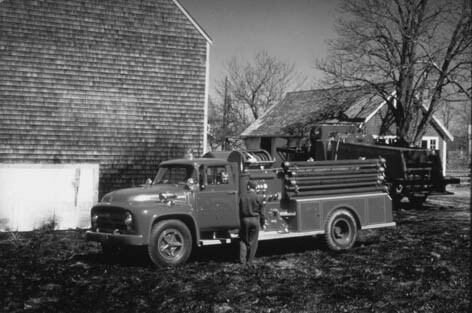 West Barnstable Fire Department from 1958 until 1985.
grass fire behind this barn. 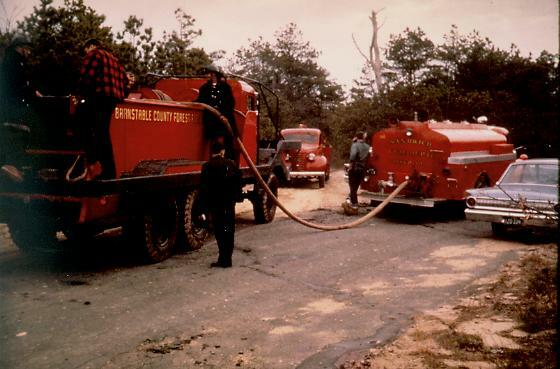 A County brush breaker (C-14) is refilled by the East Sandwich tanker. 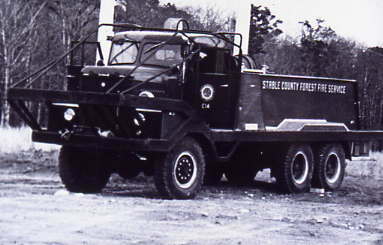 A fire patrol truck is also shown. 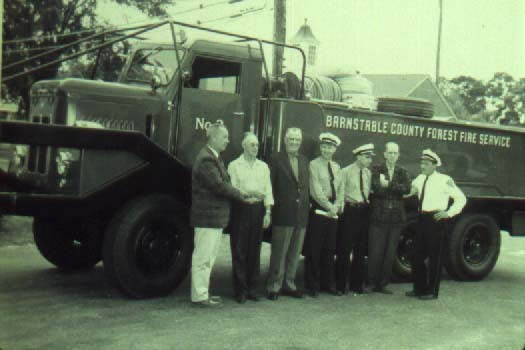 Barnstable County No.4 in 1960.
to replace the 1949 No.4 Ford brush breaker in Dennis. 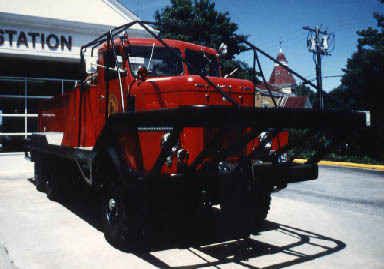 The custom Maxim brush breaker No.4 was designated C-12. 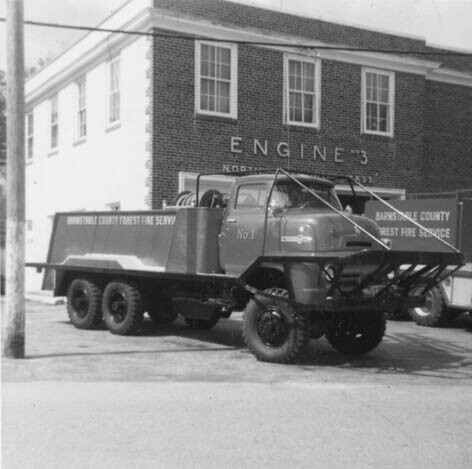 It served in Dennis from 1960 to the 1980s. 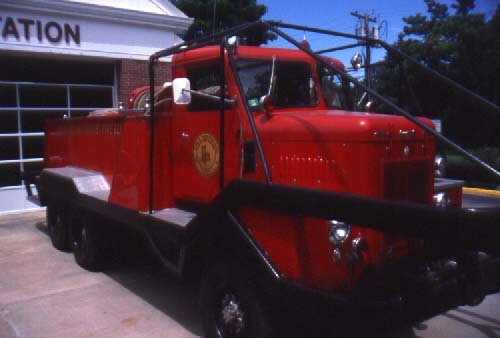 The rear of C-12 in front of the Dennis fire station along with a GMC patrol truck. designated as Breaker 235 for a number of years. 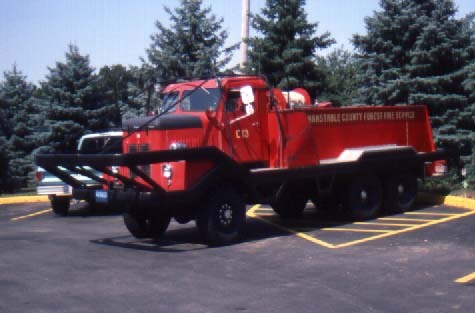 Brewster breaker 235, the 1960 Maxim formerly County C-12. 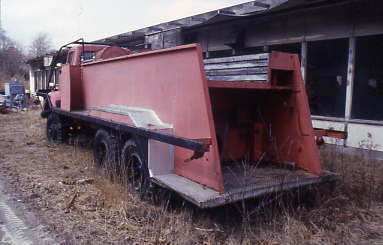 Brewster retired Breaker 235 in 2001. 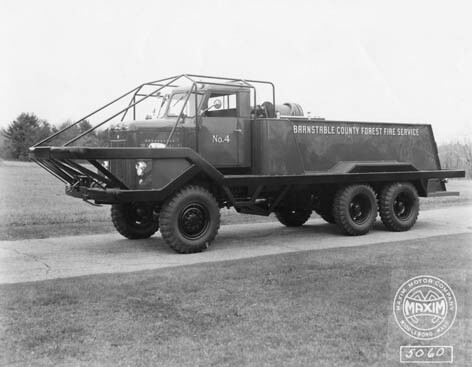 It is shown here behind the Brewster FD. 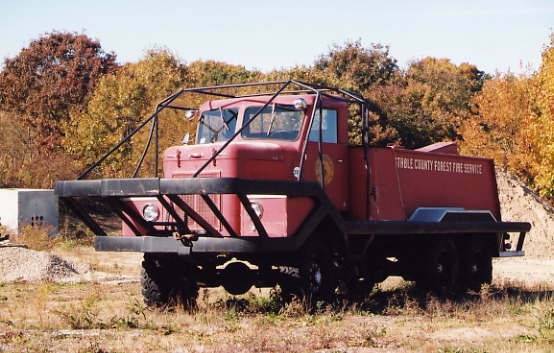 Breaker 235 retired behind the Brewster Fire Station. 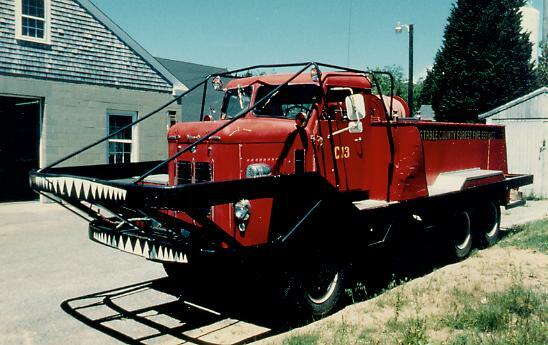 along with the 1950s FWD and 1966 Mack. 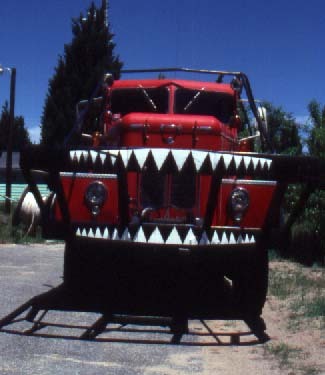 some teeth to the breaker. 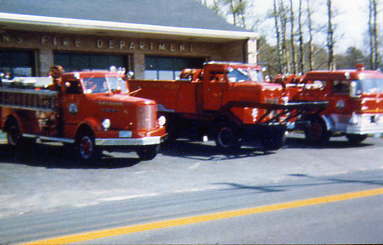 Former county C-13 behind the Eastham Fire Station. 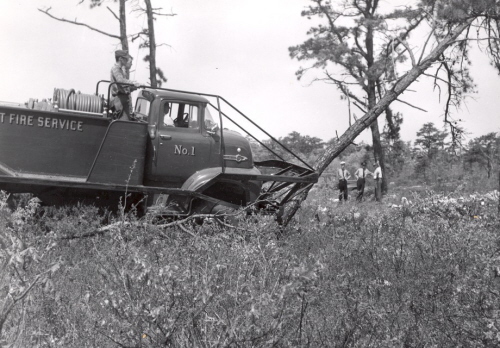 until they became mechanically unable to be fixed. 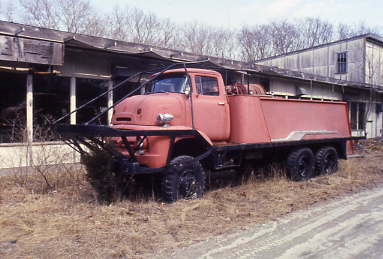 Brewster Breaker 255 (Originally C-13) shown in March 2001.